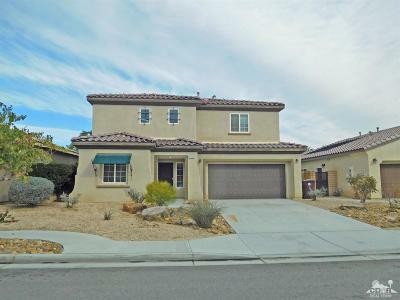 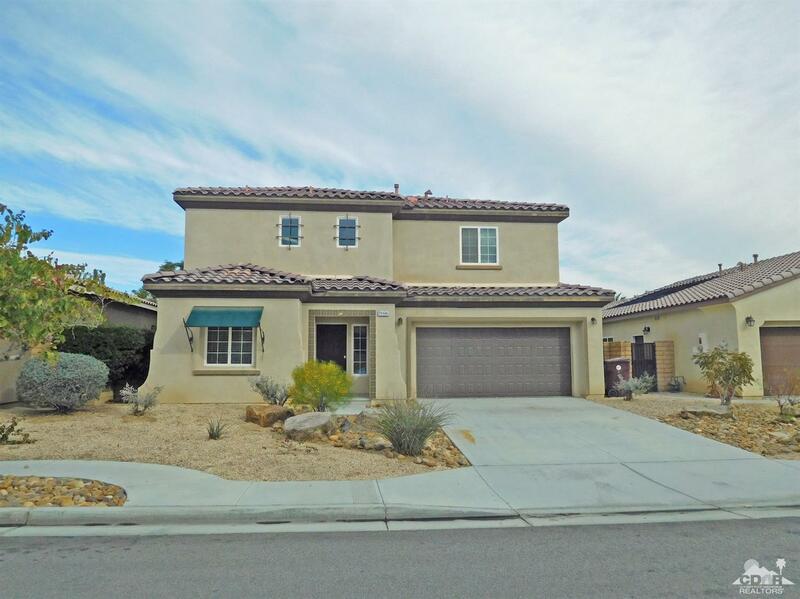 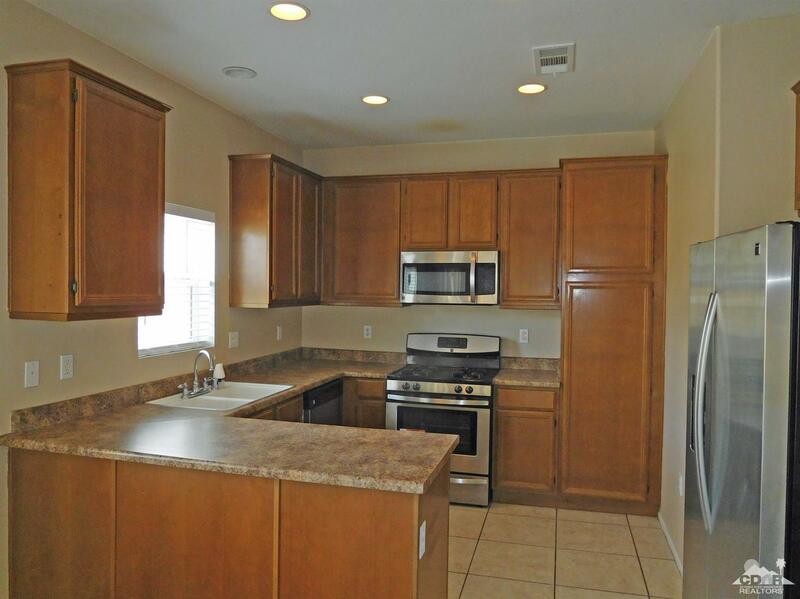 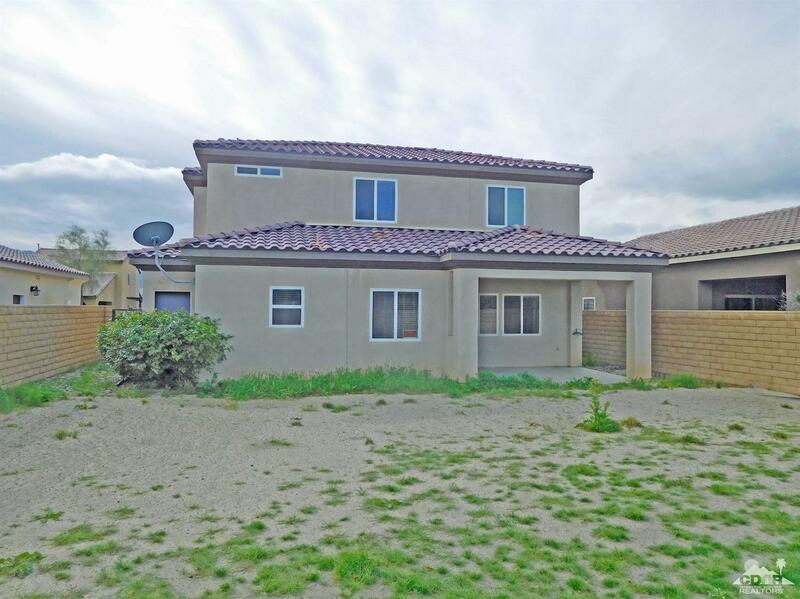 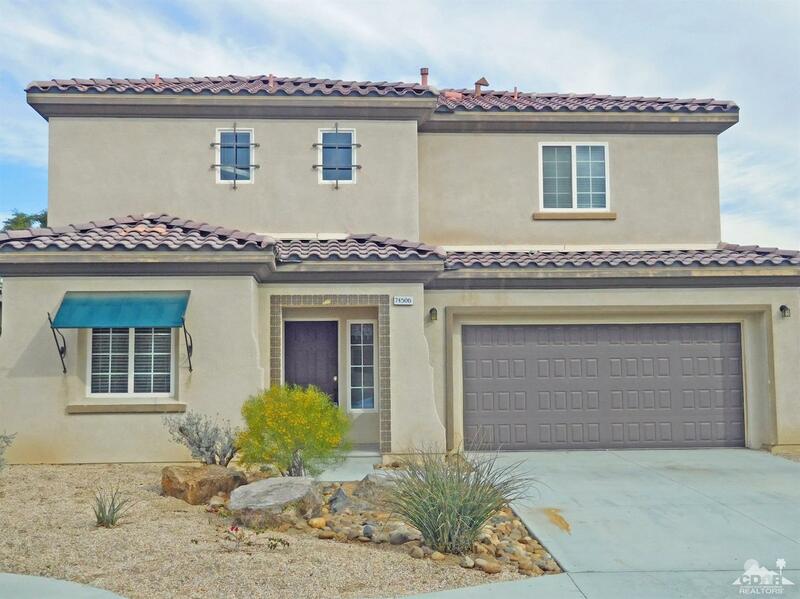 This beautiful north facing 4 bedroom 3 bathroom home is located on a cul-de-sac in a quiet Palm Desert community of two level homes and backs up to the Hovley Soccer Fields. 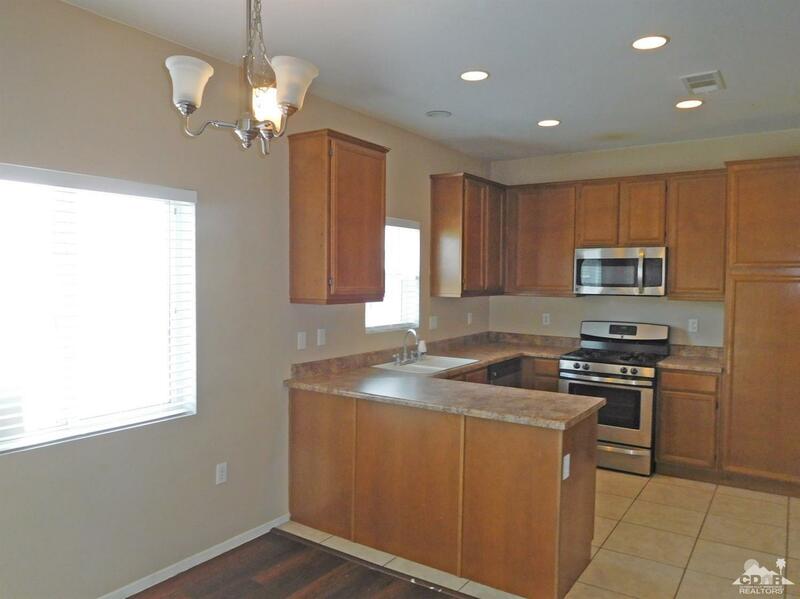 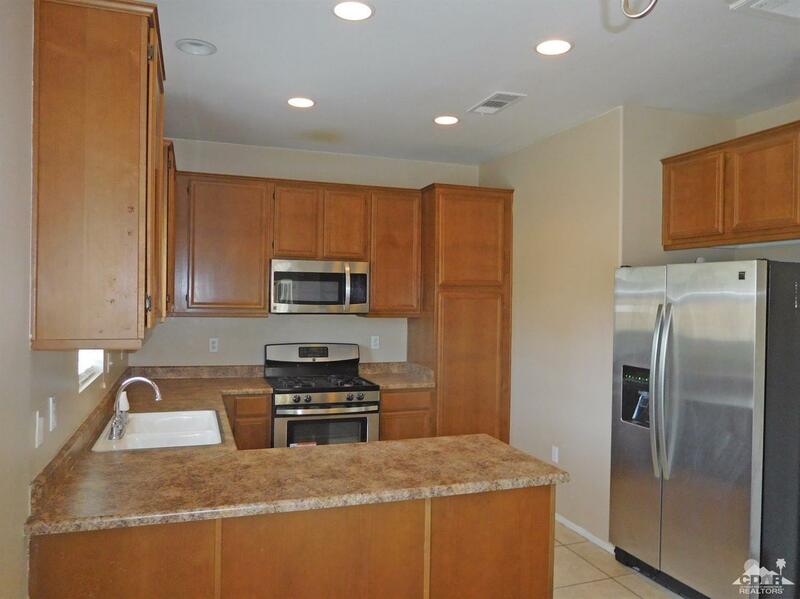 The kitchen is equipped with stainless steel appliances and opens up to the family room making it a great space to entertain or relax. 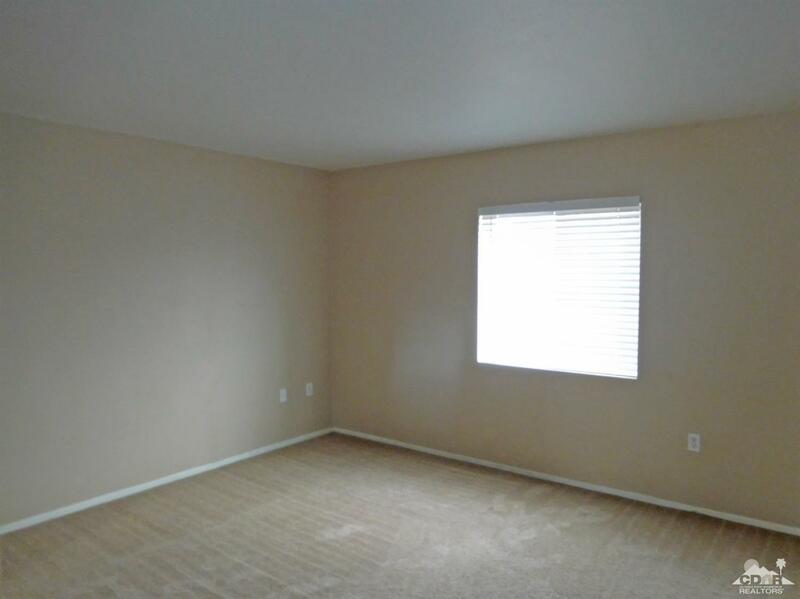 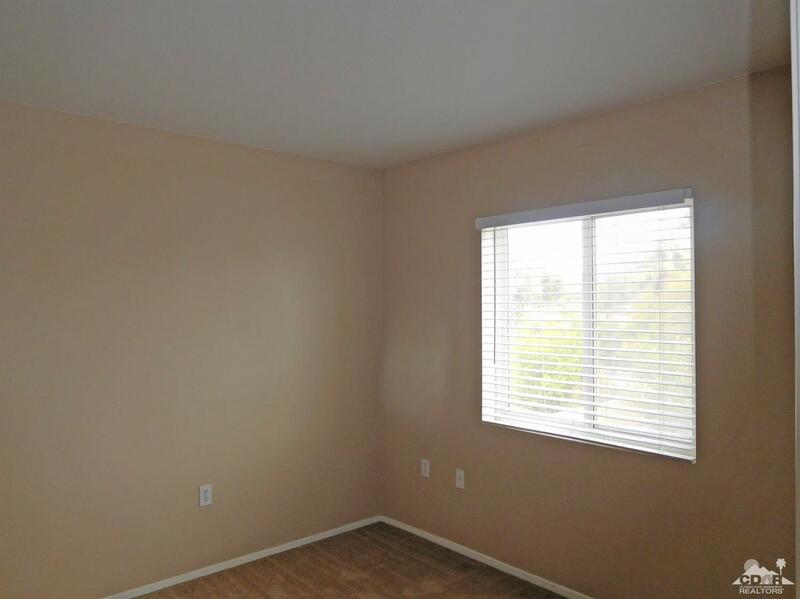 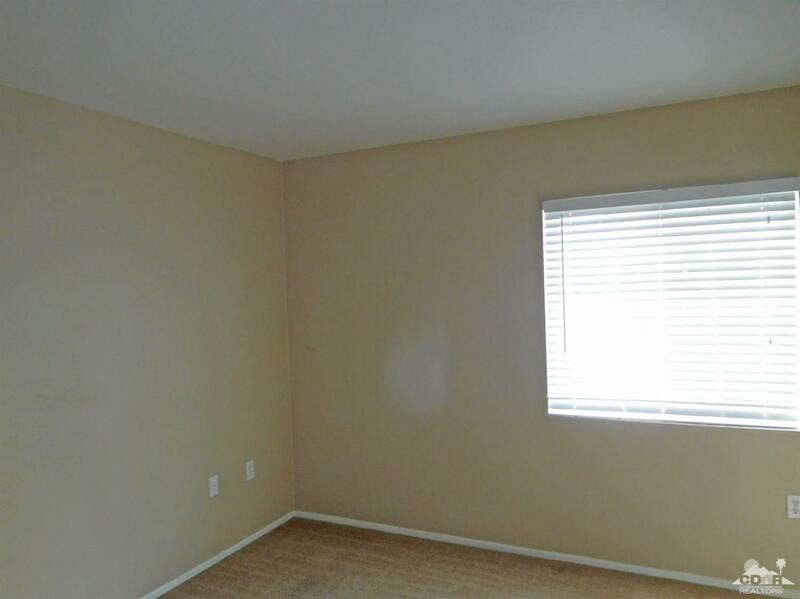 The large master bedroom has dual closets and bathroom on suite. 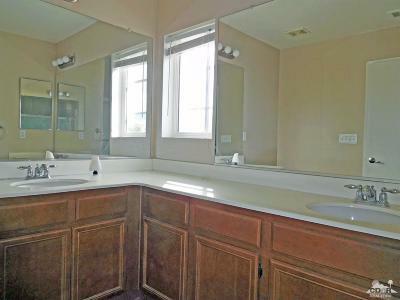 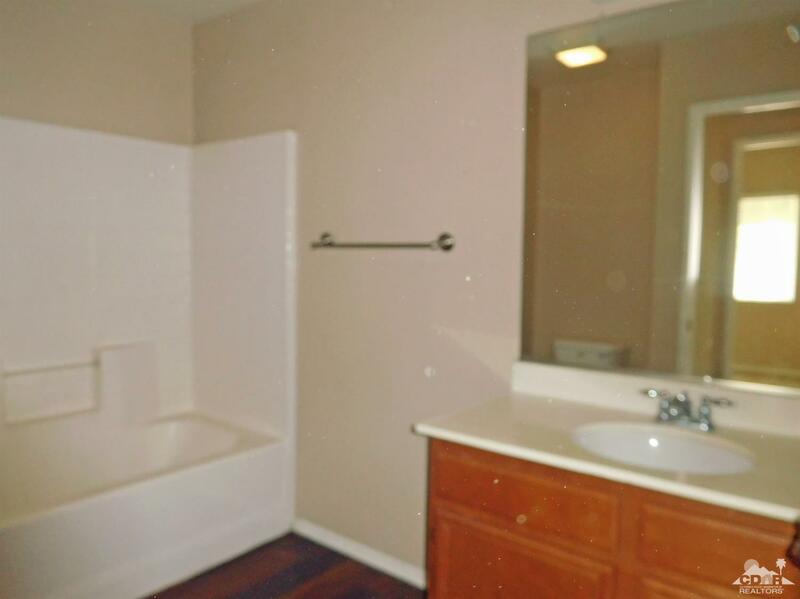 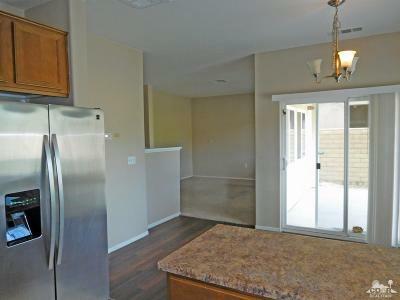 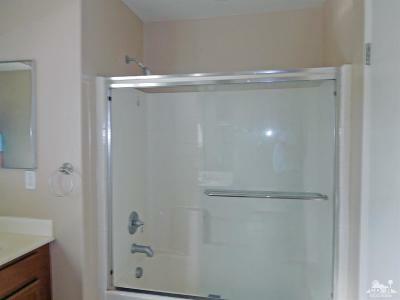 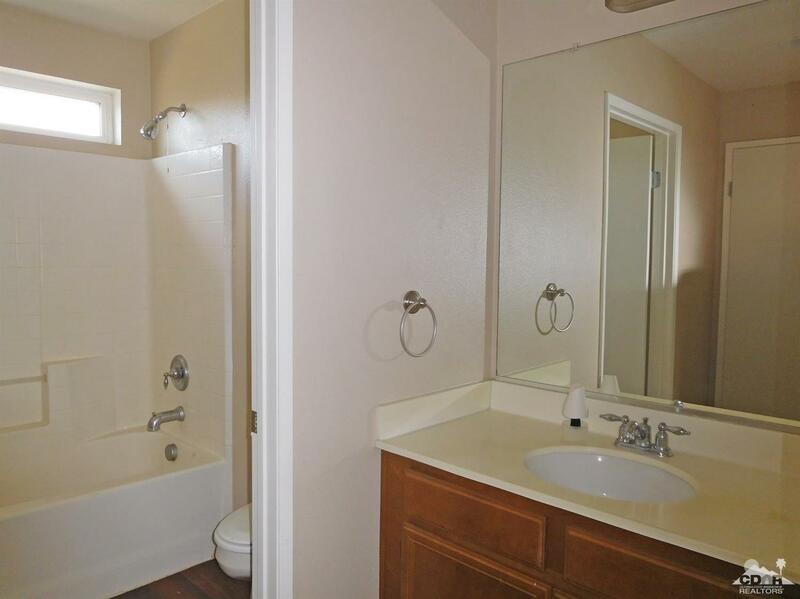 Upstairs are two additional bedroom with a Jack and Jill bathroom. 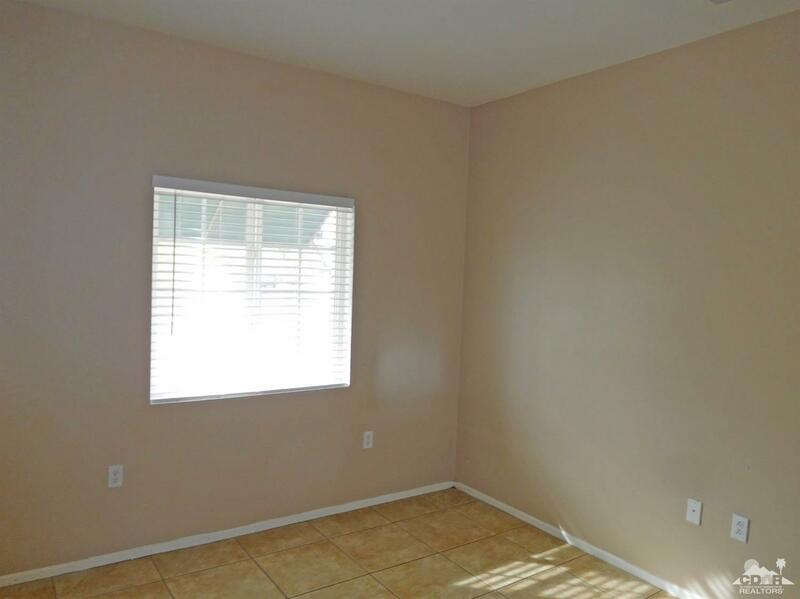 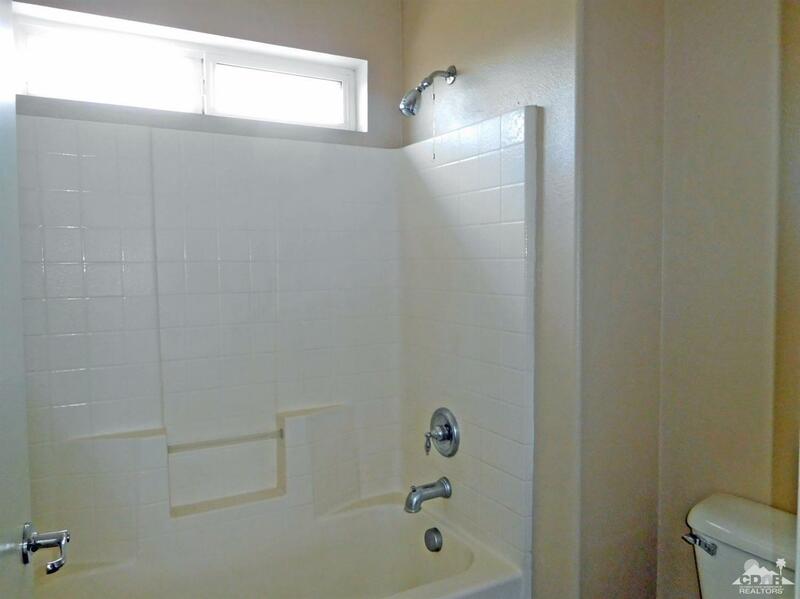 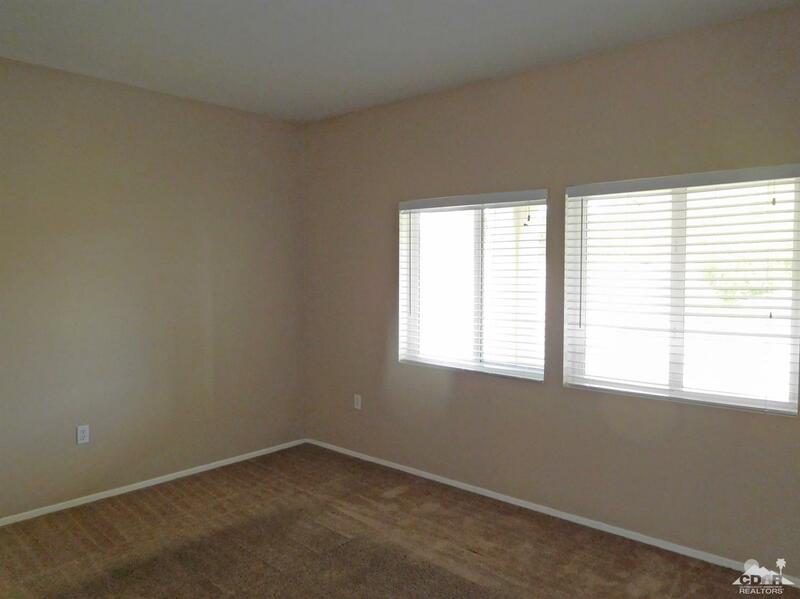 The fourth bedroom has tile floors and is located on the ground level along with a guest bathroom. 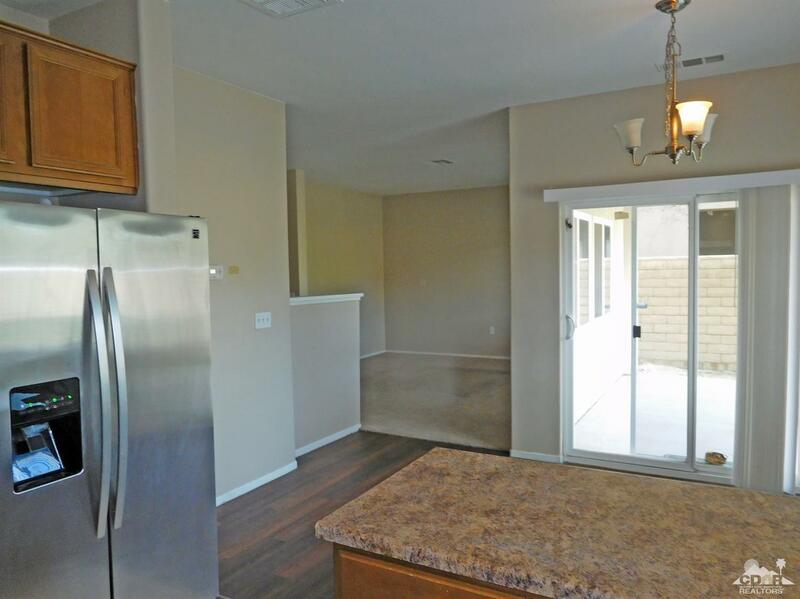 The spacious backyard is ready to make your personal touches.